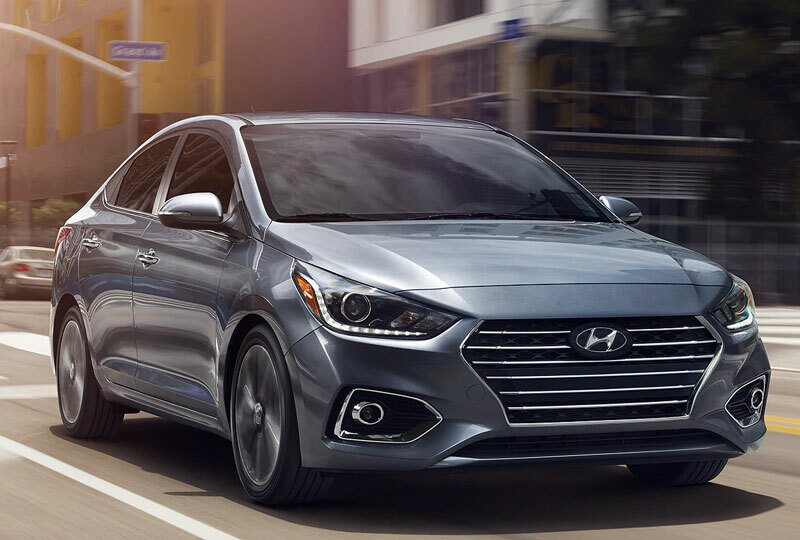 The 2019 Hyundai Accent from Tamiami Hyundai in Naples, FL, serving Fort Myers, Bonita Springs, and Estero, is a remarkable, everyday sedan. Signal your every move with the standard, one-touch triple turn signals and available LED taillights. Take off with incredible speed, thanks to a standard 1.6L 4-cylinder engine with 130 horsepower for quick acceleration. Use the standard manual transmission to take control of your journey, or switch to the available 6-speed automatic for smoother handling. Enjoy the soft seating surfaces that are lined with comfortable cloth upholstery, and get the most out of your cargo hold with standard 60/40 split-folding rear seats. Stream audio or make a quick phone call through the interior speaker system with a standard Bluetooth® hands-free system. The remote keyless entry settings allow you to quickly get behind the wheel and start your engine at the push of a button. Today is a great day to buy a new Hyundai! Browse our 2019 inventory online, and then visit our showroom located at 6780 Airport Road N, Naples, FL 34104. 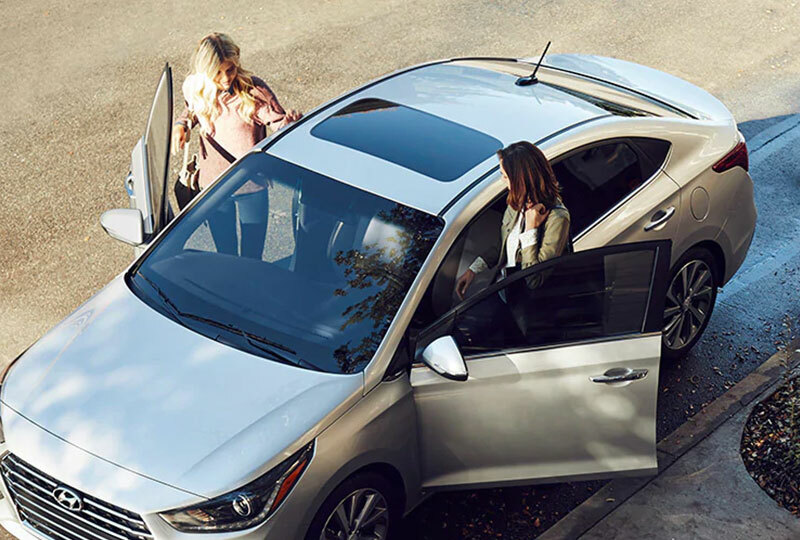 We'll send you home in the 2019 Hyundai Accent you've always dreamed of! 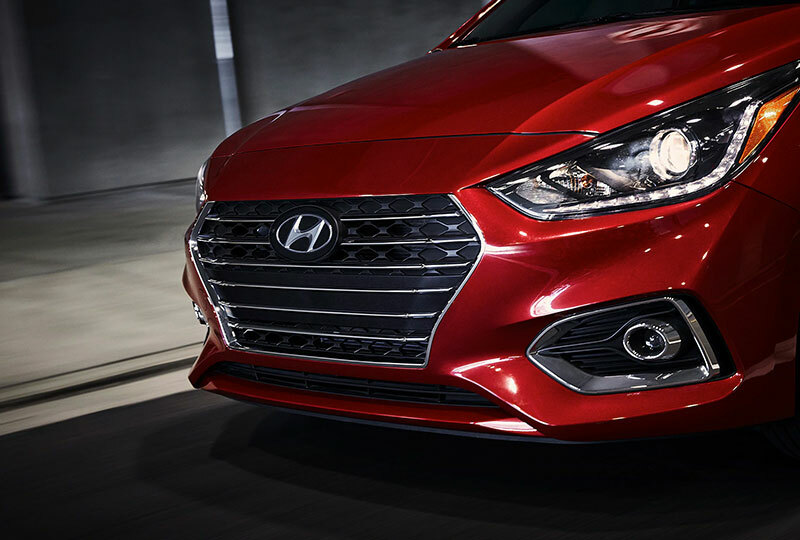 Accent has a bold cascading grille and new available LED headlights, while the rearview camera guides your way when in reverse. All you need, right at hand. Everything's under control. 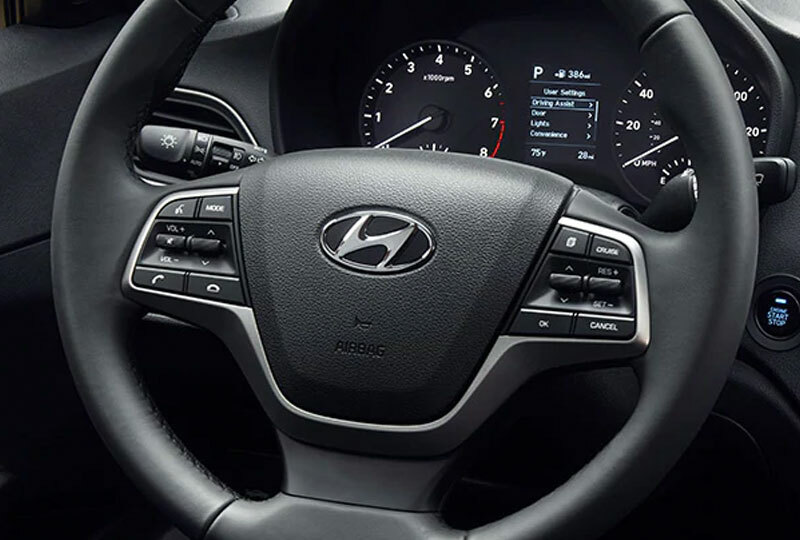 Your standard tilt steering wheel's got Bluetooth®, audio and cruise controls. You'll get an alert if a slowing or stopped vehicle poses a potential collision. If you don't change course, Accent will automatically brake to avoid impact. 1.Forward Collision-Avoidance Assist is standard on the Limited trim level. Forward Collision-Avoidance Assist is designed to detect vehicles whose taillights are directly in front of the vehicle. Forward Collision-Avoidance Assist will not detect objects other than cars. Forward Collision-Avoidance Assist initiates full braking at speeds between 5 and 50 mph. Forward Collision-Avoidance Assist is not a substitute for safe driving. See Owner's Manual for details and limitations.